Just when we thought that we could let Nipsey Hussle rest in peace, there is a new controversy in the press regarding the financial welfare of his children. The rapper was the father of two: a daughter named Emani, whose mother is a woman named Tanisha (who goes by Tanisha Asghedom, but it’s unclear if she was ever married to Nipsey because his death certificate stated he never wed), and a son named Kross with Lauren London. Nipsey also was the step-father figure to Cameron Carter, Lauren’s son with Lil Wayne. Last week, retired football star Reggie Bush and his wife created a GoFundMe campaign that was to allegedly benefit Nipsey’s children. 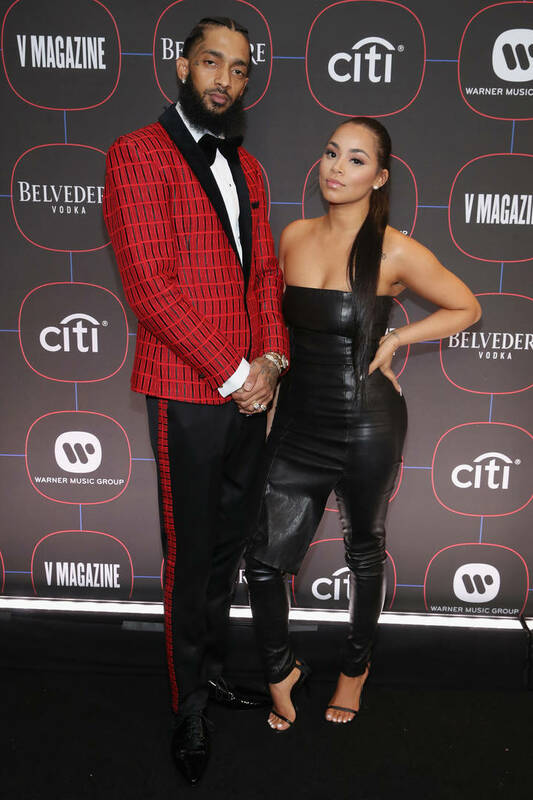 “In partnership with GoFundMe and with the help of our marketing team over at CAA, we have been empowered by Lauren London, Nipsey’s girlfriend, to put together a GoFundMe account that directly benefits Nipsey’s two kids, Emani and Kross,” the campaign stated. Karen Civil, Nipsey’s close friend and business partner, made it clear on social media that the Bushes were not cleared by any family member to collect money. “I understand you’re motivated and want to help, but there are other ways. His family already asked you NOT to do this. People are literally grieving over a husband, father, brother, uncle, friend and someone who meant so much too so many people. This is not the time for this,” Karen tweeted to Reggie. This turned into a back and forth bit of drama where Reggie stated he’s already has a busy schedule and isn’t crazy enough to do something like this without clearance, and Civil saying something about Reggie not even speaking to Nipsey when they would cross paths at the gym. And there are other crowdfunding campaigns that have been popping up in the name of Nipsey, only to be taken down when reported.